CFR Senior Fellow Heidi Crebo-Rediker, Kurt J. Nagle, president and chief executive officer at the American Association of Port Authorities, and John Porcari, vice president and national director of strategic consulting for Parsons Brinckerhoff, join former Deputy Secretary of the Treasury Neal S. Wolin to discuss challenges to U.S. infrastructure. The panelists consider a range of policy approaches to ameliorating U.S. national infrastructure, and the political, economic, and social obstacles to reform. WOLIN: So, good afternoon, everyone. Welcome to this afternoon's Council on Foreign Relations' meeting. This meeting is part of the council's, "What to Do About?" series. Each meeting in this series highlights a specific issue, and features experts who put forward perspectives and policy prescriptions in a mock high level U.S. government meeting. Today's topic is, "What to do About U.S. Infrastructure?" We'll think of this conversation as a mock meeting of the president's National Economic Council, although I hope we'll make more progress than many of the NEC meetings that I've attended. We will consider the current state of U.S. infrastructure. Where does U.S. infrastructures stand on an absolute basis and where does it stand compared to other countries? What are the implications of the current state of U.S. infrastructure to our economy and to our competitiveness, now and over the intermediate and longer-term? What are, or should be, the infrastructure priorities of the United States? 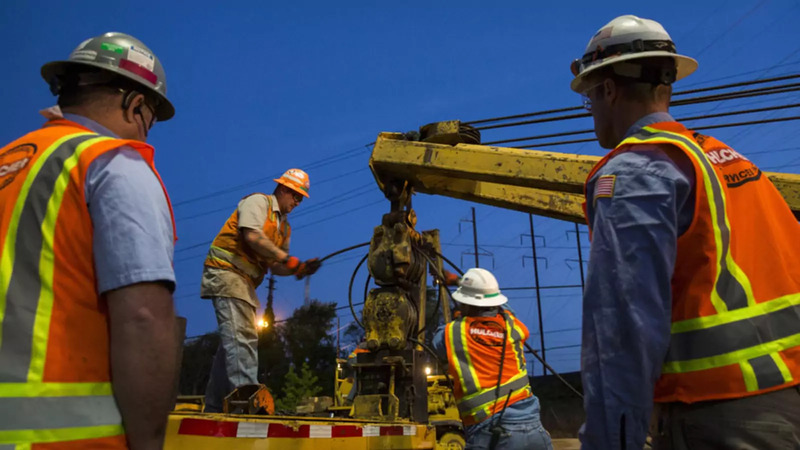 What are the options for meaningfully improving the state of infrastructure in the U.S.? What are the best options for planning and developing infrastructure strategy? Or financing infrastructure? For working across different types of infrastructure, transportation, telecoms, energy and across geographical and, therefore, governance boundaries? What are the political constraints? Why has progress been so hard to come by? What are good examples of approaches to infrastructure that have worked in other countries that we might do well to try in the United States? Or examples from cities or states in the U.S. that might be implemented more broadly? And finally, given where we are, given what has not worked and what has worked or might work, given the political constraints, what are the credible, achievable recommendations that this group of experts has for improving the state of infrastructure in the United States? I will ask the questions and attempt to steer the conversation. At 1:15, we will invite members of the audience to join in the discussion, and we will have a question-and-answer session until the meeting's close at 1:45. We have three outstanding participants in today's discussion. John Porcari is the vice president and national director of strategic consulting at Parsons Brinckerhoff, a global infrastructure consulting and management organization. He is, as well, the immediate former deputy secretary of United States Department of Transportation, and twice the secretary of transportation for the state of Maryland. Heidi Rediker-Crebo (sic), senior fellow here at the Council, former chief economist—the first chief economist at the U.S. Department of State, former staff member at the Senate Foreign Relations Committee. And Kurt Nagle, who's the president and CEO of the American Association of Port Authorities. So let's begin. John, what is your assessment of the current state of infrastructure in the U.S.? What are the trends? PORCARI: In a nutshell, the state of infrastructure's deplorable. It doesn't matter kind of what scale you put it on, whether it's one of the professional organizations out there that track these things that gave it a D, for example. I—I'd put it in more immediate terms. Three quick examples. If you think of the Northeast Corridor of the U.S., the most dense population core to the country, and the Amtrak service is the most important single part of that service. There's a single point of failure under the Hudson River in New York. It's 205 (sic) year-old-tunnels that were built by the Pennsylvania Railroad. They were flooded in Hurricane Sandy. They have very little operational life left. To put their age in perspective, set aside the statistics, the year they opened, Henry Ford converted the Model Ts from wooden bodies to steel bodies, and the Wright Brothers converted from the Model A airplane to the Model B. These are two single points of failure that would literally bring the Northeast Corridor down to its knees. Likely—similarly, if you think about aviation in the country, the newest airport in America is Denver. It's 20 years old. It's mid-life. If you look at nations like China that are building two to three major airports a year, you start to get a sense of how far we're falling behind. And then finally on that note, again, just to put in human terms, the strategic and economic dialogue that the U.S. has with China as part of that exchange with my counterpart, the vice minister in China, I brought him to the U.S. to look at our newest locks and dams, and just north of St. Louis, took him to what was our model facility, which was older than his oldest lock and dam facility. So that gives you a sense, Neal, of how much work we have to do. And if we don't care about this for any other reason it's economic development. It's literally the foundation of our future economy. WOLIN: So Heidi or Kurt, do either of you want to disagree with John's characterization of the state as deplorable, or expand upon his analysis or talk about the trend lines? CREBO-REDIKER: So I'll jump in, I agree, and I think we have a lot—we have a lot of work to do. The numbers are also staggering in terms of what it's cost to actually bring our infrastructure up to a current state, our existing infrastructure up to a state of good repair. And the estimate that the American Society for Civil Engineers has out there is $3.6 trillion by 2020. And so—and that's just to bring it up to a—to the existing infrastructure as opposed to any big thinking about new builds. So, you know, the numbers are very big. I think if you spend a lot of time looking at how many structural deficiencies we have in our bridges, because there are a lot of—one out of every nine, I believe, it can get very depressing very quickly. And I think, especially because of the nature of the audience here at the council, we have a lot of travelers who do go and see what infrastructure, not only in countries like China, but the—that the Europeans have been able to renew a lot of their old infrastructure over the past several decades, and how did they get there is really the right question to ask. NAGLE: I think, obviously our members tend to look at the state of our infrastructure primarily through the kind of the lens of moving goods, moving freight, through—certainly throughout our country, but also connecting to the international marketplace. And certainly the state of that connecting infrastructure on both the land side and the water side to our ports is, I think, you know, John's term is an appropriate one. NAGLE: Infrastructure, freight transportation infrastructure is a—while it's a critical piece of that, it is dwarfed by the more common viewed infrastructure, whether it is bridges, tunnels, et cetera, moving cars, or moving people, so that with the enormity of what's needed overall to our transportation infrastructure, it's been a challenge. And is continuing to be a challenge for the ability of transportation providers, et cetera, to move goods to our consumers and then from our producers or manufacturers to a global marketplace—marketplaces is further challenged because it's very difficult in that enormity of what Heidi was talking about in terms of the needs to try to get adequate focus and attention and prioritization to moving goods that are—that are so critical to our economy. WOLIN: So I think we have consensus. It's hard to avoid that consensus that we have a sort of deplorable state, a real big problem. Let's talk for a minute about what the implications of that state of affairs happens to be for the United States? For our near-term economic path. For our longer-term competitiveness. What are the stakes here? Meaning, apart from the inconvenience of people, or the sort of slightly higher cost of moving freight in the circumstance, Kurt, you talk about. What is at stake here? Why should we—why should we care that much about this? PORCARI: If you don't care about it for your own sake, you should care about it for your children's. And one thing to think about with infrastructure investments, whether it's transportation, energy or any other sector, is these are really generational investments. They're true capital investments in the sense that they'll have a service life of 30, 40 years or longer. And the opportunity cost of not doing this work today is actually foisted upon your children and your grandchildren. And again, this goes straight to economic competitiveness. It's—this is not one region or one state in the United States competing with each other. This is in a world environment. And the real competition is other countries that are making these foundational investments that will pay off for their children and grandchildren. NAGLE: And, just kind of related to that, and—and talking about where the kind of the state of the infrastructure and what we should be doing for our children. With the experience that we've had, particularly related to water side infrastructure, whether—whether it's maintaining, or deepening and widening navigation channels kind of into and out of our—out of our ports, not only is there—there is not enough funding provided, the process is so long that it can take 20, 25, 30 years. So kind of similar—along the line of what John was talking about, and given the—the tunnel situation in New York, the reality is right now we're building our grandparents' infrastructure, because it's taken so long to actually move those—identify and move those projects forward, and actually come to any level of construction and how long it takes, while we need to be building our kids' and our grandkids' infrastructure. So it's—and, again, as it relates to our economy, to jobs, et cetera, the international trade right now counts for over a quarter of our U.S. economy. So it's absolutely vital that we compete in that—in that international marketplace. And it's not—it's not so much whether, as John said, it's east coast, west coast, you know, heartland, wherever the case may be, we're competing on a global scale, and our infrastructure right now is making that more and more difficult. The cost of our goods internationally—Chairman Shuster often uses the example of U.S. soybeans versus Brazilian soybeans. The cost differential from a competitive standpoint, often boils down to that water transportation cost and if we're not able to handle larger vessels that can accommodate that reduce the per—you know, per ton cost of whether it's our coal, soybeans, whatever the case may be, we're not going to be competitive. It's going to hurt our economy. Going to hurt jobs. So it is—it is vital. CREBO-REDIKER: So, I think, I mean, just to flip this around, so we don't get everybody too depressed. I look at this as a huge opportunity, and it's—we often talk about if—if something is, you know, a twofer, you know, you get double bang for your—for your money, but there's been so much work done at the G-20 and IMF and SNP. And a lot—a lot of, you know, figuring out what the actual investment would—would produce in terms of jobs, and growth. In terms of jobs it's estimated a $1.3 billion investment would translate into an approximate 29,000 jobs. The IMF looks at a—you know, a 1 percent GDP investment in infrastructure translating into 1.5 in growth in a four year time period. In competitiveness, I think that the subject was covered extremely well. In terms of safety, when you look at trains and bridges, as—as a matter of public safety, resilience for disaster mitigation, and the public cost—the cost to individual drivers on the roads that because about 20, 27 percent-ish percent of our roads are substandard, we end up paying a lot more in fuel costs and in repair costs as well. So, there's a huge opportunity both growth, jobs, competitiveness, safety, resiliencies and public savings to consumers that we could actually generate from looking at this. And I like the fact that everybody here's been talking about this as investment, as opposed to spending, which is the way that Washington tends to view it. WOLIN: So, I think that's a good litany of opportunity as you—as you put, Heidi. I think, you know, if you think about investing in infrastructure as you guys all just mentioned, it's both pro-growth in the near-term for an economy that's obviously had a lot of challenge over the last five or six years. And then it sets the sort of the basis for growth and competiveness out into the much longer term if you think about transportation infrastructure, where we've spent most of our time so far, but also telecommunications infrastructure and energy infrastructure and all those things have both this near-term economic saluatory set of things. And then over the longer haul, are sort of the basis for continued growth. I want to move now that we've, I think, set the predicate, which is state infrastructure in the United States, pretty awful. Consequences of that pretty huge. Focus a little bit now on what ought the priorities be for infrastructure development in the United States going forward and maybe some thoughts about what the options might be for getting at those priorities. Let's start with the priorities. You know, where is it that we should be focusing our energy as a country with respect to infrastructure over whatever horizon you want to pick? PORCARI: Yes, Neal, it starts with building credibility. And if you think about just within the transportation realm of infrastructure, earmarks are gone. I know they were very popular in a lot of ways, but it really hurt the credibility of making the case for infrastructure. So there aren't any earmarks today, and what you have are merit based selection processes, and that's important, because you can do a benefit cost analysis. You can apply performance metrics to the operation of these facilities. These are the kind of things that give the public confidence that we're not wasting either public money or private investment. And so that's kind of the baseline for turning it around. It's also important to note that it really doesn't all happen in Washington. And, in fact, you can make a case that most of it doesn't happen in Washington. And so with the transportation system it's essentially locally based, aggregated to a national level. And, what does work, and even in this political environment, is making the case for specific improvements at the local or regional level, and under promising and over delivering on that. And, if you look at the local self-help initiatives, things like bond referendums and other tax measures, over the last decade 72 percent of them have passed at the local level. And it's because you're making a specific promise for specific projects and you're delivering. CREBO-REDIKER: So I tend to think of how do we—how do we look at what is an enormous challenge in the U.S., not only because it costs a lot, but because of the way that our political system and our financial system addresses the challenge of infrastructure across the entirety of the sectors. And I think of it in the buckets of we have gaps that we need to fill. And one of them, I think, is an important one that's not particularly costly, and it's a strategic gap. We don't really have the mechanism to take a very significant look at country—countrywide, regionally wide. What are—what are the key, large scale, nationally relevant infrastructure projects that could really tick the boxes on all of those positives that I just—that I just mentioned? And because this is CFR and we want to try and bring in some potential models to look at, I would say that the U.K. has actually done a very good job in having a national infrastructure strategy that they produce every year along with a list of all the infrastructure projects that they've prioritized. And just going through that exercise, and figuring out what is the most important, what should we be really focusing our attention on, and how do we make that a strategic priority, I don't think we have any place in our process that really does that right now, because we're very siloed. Our agencies our siloed. Our committees are siloed on the Hill that look at these issues. And so to the extent that we can actually come up with some kind of a mechanism to do that kind—of that very important strategic think would be—would be a very good step. It's a gap. The second is a knowledge gap. And the ability to tap into private sector investment, which has got to be part of filling this gap. It's not—it's certainly not a silver bullet, but it's a—it's a—it's got to be part of the solution. And we have a knowledge gap in the U.S. about how to actually use best practices in public private partnerships. And there are ways to solve that. Again, if you look at what Canada's done with P3 Canada, they have an agency that essentially has—a centralized agency that works with local governments to help them negotiate and think through and work through working with private partners to catalyze and make best use of private funds that are out there. And we actually, within our Treasury Department, do that on the international side. So, we have a group that actually advises governments around the world about how to best mobilize, attract, and negotiate using best practices for Costa Rica, and Indonesia, but we don't—we don't—we are just starting to do that now on the—on the domestic side. But that's housed at Transportation, which, again, is siloed. And then the third gap, which is a—which is the big gap, and the hardest to tackle is that funding slash financing gap. We have a big markup of the highway Trust fund happening today on the Hill. That is where a lot—that is where a lot of the attention goes, and rightfully so, on where our federal dollars are—are channeled into infrastructure. But it really leaves a lot of the rest of the—of the good ideas out there, like a national infrastructure bank, or other means to support innovative financing in, you know, in limbo until we get that big chunk of Highway Trust Fund done. So, I would say as you look at the gaps, there are inexpensive ones that we could look to fill the first two, and then the second one which is really the big one, and that's a larger conversation. NAGLE: I—I'd say that, to some degree, we talked about it a little bit that these are investments as opposed to spending. I think part of the challenge is in, at least some quarters, here in Washington, there tends to be a perspective of a dollar spent equals a dollar spent. Not necessary—you know, and each of those dollars spent being somewhat equal, as opposed to what is, from a strategic standpoint, actually an investment. And what, ultimately, would provide returns, whether it's in terms of the economy, jobs, et cetera, tax revenues, that would then be able to provide resources for other priorities. So I think, first off, we need to look at our overall investment/federal resources from more of a strategic what is the—what gives us the more bang for the buck from a—from a national perspective on the range of issues? And then look at that, particularly as it relates to the reality is we're in a global economy. And either we're going to compete and be successful in that economy, or literally that trade, those ships are going to pass. Pass us by. I think, at least, in—for my generation, many of us kind of grew up with the—I think—the perception—in some cases it was probably more of a reality—at the time was that the United States was the 800 pound gorilla, and people have to trade with us, regardless of what our infrastructure is like, et cetera. We're still going to be able to be a major player internationally. That's no longer the case. And, certainly as John said, you look at the infrastructure in other countries. Heidi talked about what's happening in Canada in terms of the P3. A similar strategy they have is the Canadian Gateway strategy, where they're (sic)—have established a policy, a strategy, and that facilitates both public as well as private investment in their goods movement infrastructure. And they make no bones about you can look at their, you know, their presentations and their maps, they show, you know, the goods moving from their east coast, west coast, St. Lawrence into—with the—with the goal of serving America's heartland. And I think one of our former chairs had a, you know, I think a realistic response to that. If Canada has a—has a policy and a strategy to serve America's heartland, by golly, the U.S. should have a policy to serve America's heartland. But, you know, it's a combination of the public private partnerships, a strategy, a—policies that facilitate rather than hinder the—the ability to—the reality is we need—it really needs to be an all the above approach whether federal funding, local funding, state funding, private investment. The reality is we're going to need all of those options. All of the various financing—financing type initiatives that we can—we can learn from others internationally. PORCARI: I—I'd like to circle back to a point that Heidi made, because I think it's worth underscoring. If—if you look at this in an international context, there are best practices out there. U.K. would be one. The European Union, with its freight plan, and how it looks at goods movement is another. There are small shoots of that in the U.S., working across those silos. So, for example, states are now required to have a state freight plan. The smart states actually make it a multimodal plan. It's not just highways, it's your inland waterways. It's your ports. It's your freight rail, air freight, how all that fits together. And if those states are really smart, it's a critical part of their economic development strategy, they're tied like this. That's not true of every state. So there is kind of—there are kind of the rudiments of a national freight plan out there. The downside is, if you do it on a state by state basis, you're missing the reality, which is the basic economic units of the country are regions. And most of the regions either abut or straddle state boundaries. So they not only have to be intermodal, and look at all forms of goods movement, they really need to think larger than state boundaries. And a basically a surface transportation program that recognizes those realities and encourages that kind of broader thinking is something that will go a long way to incentivize the kind of program that we really need. WOLIN: So, I think we have consensus that we need a strategy. It should be national. It should cross geographic boundaries. It should be intermodal. I want to come back to that maybe in a second, but I want to focus on Heidi's third gap, the funding, the financial gap for a moment, because I'd like you get your all's (sic) perspectives. You know, in the—in the past, transportation spending, or investment, was broadly a bipartisan endeavor in this country. And one that, you know, more or less elected officials would fall all over themselves trying to advance. So John, you noted earlier that earmarks have gone the way of the dodo bird, and obviously, we live in a fiscal environment that is rather more challenge than any one in memory. Is that at the core of—at least at the federal level—is causing this kind of fraying of the bipartisan consensus in favor of infrastructure? Or are there other things going on? And I suppose, more importantly, what's going to get us to a better place with respect to the sort of consensus that really had existed for a long time, that infrastructure was important for all the reasons you all have cited earlier in this conversation. PORCARI: Yes, well first, what has worked in the past clearly doesn't work in the future. If you look at the gas tax. We all understand the fundamentals, which is it's declining in real terms as a revenue source. That's partly a good thing. It's from vehicle efficiency, and less vehicle miles traveled. But it's not a sustainable revenue source. In contrast to that, at the state level, 19 states have added revenues either through gas tax or sales tax, or other things. And every one of those have—every one of those governors has lived to tell the tale. PORCARI: It's very bipartisan, absolutely. And part of the larger dynamic is the total funding pie, the shift between federal and state has shifted dramatically, and the states are picking up a bigger portion of the burden. Again, that's partly because they can show specifically what you're getting in return for that. But the larger issue is, I think one of the characteristics of the discussion in Washington now is people are afraid to even have that discussion. Whether it's the gas tax, or any other revenue source. There are a lot of other things you can do, public private partnerships are one niche. None of them fully take the place of long-term funding for public goods. And that's really what we're talking about here. CREBO-REDIKER: I would completely agree, and I would challenge people here, does anyone know that the gas tax actually is? CREBO-REDIKER: OK, good. OK. Because I think a lot of people don't. And I think if you—if you—there's not, I mean it's a—it's a politically bad place to go for all but very few brave members of Congress right now. And the—and the system to fund the Highway Trust Fund is broken. So there are—there is a lot of room for creative thinking. There—you know, I would challenge—I would challenge everybody to get more creative about how we're going to—to—to figure out the long-term fix. Because the short-term—the short-term fix, the patches and putting pressure on the Finance Committee to come up with the extra $100 billion is a—is a challenge. WOLIN: Can I interrupt you there, Heidi? So, I mean, just as exercising the chair's prerogative here. First of all, that gas tax has been flat since 1993. ... maybe somewhere else, to think about a national infrastructure strategy and to be sort of the node of both sort of strategic thinking and knowledge acquisition, and presently knowledge dissemination that would bear on all this. So, that seems like a—an agreeable point. But, on this funding piece, whether it's the federal government and sort of getting over this hill. Maybe it's more than a hill, maybe it's a mountain. We're going to, you know, with respect to federal funding, whether it's the Highway Trust Fund, or whether it's TIFIA statute that john used to administer at Transportation, or MIFIA, which I think in Kurt's world is probably a pretty big thing. Or other sources of federal funding. The Harbor Maintenance Fund, and so forth. Or whether it's at the state and local level. Or whether it's private money with the—with the federal government giving some tax advantage. You know, we had a program in the early part of the Obama Administration called Build America Bonds, which we were hugely partial to at the Treasury. But there are a lot of devices. But let's now bore in on what are those things that we think either among those things or things that are happening kind of in a—on a pilot basis in states or localities in the U.S.? Or as you have usefully turned from examples in the U.K. or Canada, or elsewhere? PORCARI: In—in my mind, it's an all-of-the-above strategy. It—I'm not an elected official, so this is a relatively easy conversation. But, the—again, if you look at—at where the innovation's happening at the state level, states have not just raised the gas tax, some have linked it to the construction cost index, or the consumer price index. So, at least you're not losing purchasing power every year. If you look at the federal level, the discussion on tax reform, I know in the administration's proposal that would be a major potential new source of funding for transportation. I think you need to look at all of those. And we haven't talked about this. We've just really in transportation talked about surface transportation, but I've got bad news for you. On aviation, the Airport and Airways Trust Fund is not sustainable long-term, either. And so the nation's aviation system, which is a real driver of the economy, is not in a long-term, sustainable mode either. CREBO-REDIKER: So state and local governments have funded through the municipal bond market and fund the majority of U.S. infrastructure through munis, and that's something that has worked for a—you know, for a good long time. And it's—you generally have retail investors that take advantage of the tax exemption, and so that is is a system that works well for small, medium sized in state funding of and financing of projects. But what we're missing, and how we need to think about it from the federal level, I think the—ideally to get away from the siloed—the siloed nature in which we address infrastructure and the funding and financing question is important because, to the extent that everything gets stuck in the transportation sphere, you miss that on the federal level we have an opportunity to tackle some of the larger challenges of national and regional significance. And assist with those in a way that can only really work if you are able to have the funds that are available be fungible amongst projects. To not just look at transportation, but to look at water, waste, aviation, energy—I mean, the definition of infrastructure and where you—is an important place to where you're starting in this conversation. But, to the extent that in today's world, most large, complicated infrastructure investment projects are multimodal and have—and are multisector. So I think, to the extent that we actually even rearrange how we are politically and institutionally addressing infrastructure is one way to take a step forward. NAGLE: And I think a key to get that, both from a political support, but also ultimately from a—from a public support is figuring out a way to at least approach what John was talking about in terms about the state or the local level if somebody says OK, they're raising either this tax or this revenue, but I can see in a relatively short period of time at least that—you know, the Beltway is getting improved. Or, you know, whatever the case may be at the—at the local—at the local level. And that obviously is far more nebulous at the federal level, particularly without earmarks, where the member of Congress isn't able to go back to his or her home state or district and say, you know, included in this, I voted for this, but it's going—part of it, what we're going to get is this project here locally. So that makes it, I think, just a more nebulous challenge to build that political support for the revenue. And I think what also need to be clear, and whatever we—however we approach it is that there is a—really a full recognition and trust that whatever is—whether it is a new tax, a new fee increase tax, is going to be used for that purpose. You referenced the Harbor Maintenance Tax, and that's probably the poster child for an absolutely awful quote-unquote, "Trust Fund." And—but it—I think it has the, you know, the experience of the types of things I think that the public—it makes it harder for that to build that public and political support. Just quickly on the Harbor Maintenance Tax, the experience is that they've, you know, we've—we, as a—as a federal government essentially built a two lane highway into and out of our ports. And, we—so we paid for that two lane highway, and right now only the middle part, so one lane of that highway, right in the middle is—so half of that highway is available and the condition is supposed to be half the time. And, yet we're—the users of the system, are paying a tax that more than adequately funds that. So I think it's just that type of scenario where there needs to be that confidence that if we do pay a higher fee or a higher tax that it is going to go and we're going to see that benefit. We recognize, I think, from freight transportation standpoint, that there is going to be—have to be some new funding source, whether it's a waybill fee or something like that. PORCARI: Neal, one very specific suggestion is the federal government needs a capital budget. It's hard to believe that at the national level, in contrast to the local and state level, there's no capital budget, where the kind of discussion that you're hearing here today about the relative merits of investments versus each other, as opposed to an annual appropriation, or spending, where that discussion can be had. It's—there's a—having been a state DOT secretary, and then—and then going to the federal level, it was like taking four steps backwards. PORCARI: Yes, it's hard not to. WOLIN: So here it is. I'm a, you know, in a couple hours I got to write my memo to the president on the basis of this meeting, and this fiction that we're trying do here this afternoon. And I have one thing that's pretty clear I'm going to propose, which is the creation of a national infrastructure center, to do strategy, to do sort of—be a—a node of—of expertise. I think we all agree on that. That seems, I don't know, broadly achievable. Doesn't require probably a lot of appropriated money. We can figure out where, you know, we'll give the president some options about where it's going to be house, so we've got that. John, you've got indexing the gas tax to feed the Highway Trust Fund, and the institution of capital budget. I—I'm partial to both those ideas. I think neither one of them have a particularly auspicious chance of making it over the finish line in our current politics. And so I'm a little loathe to offer up these kinds of things to the president, when we know they're unlikely to be—in the end, feasible. But what I want to include in this—in this note to the president things that involve the federal government. Things that are achievable, creditable, we can get done. I want to include things that the states and localities are doing that maybe he wants to use his bully pulpit to put a spotlight on, and to push forward. And maybe things that are going on elsewhere that we should be doing a better job in the U.S. of thinking about importing into our own thinking about infrastructure. So in the time remaining, before we broaden the scope of this meeting, I want to just push a little bit harder, and try to hone in on, because I feel like I got a one page memo that's kind of brewing, to the president. I want to give him some more meat. PORCARI: Since you're loathe to send the president the big ideas, let me give you a little bit of small ball here. WOLIN: That's all right. Small ball's OK.
PORCARI: But—but one that is really important and that's process reform. So, if you—one common characteristic of any large infrastructure project is they're typically eight, 10, 12 years or longer in the gestation period. Some of that is unavoidable, most of it is avoidable. So on things like the National Environmental Policy Act and environmental clearances, you can actually have a faster, better process with better environmental outcomes. They're not only not mutually exclusive, they tend to feed on each other. That's a lot of hard work, but actually some of that is being done right now. Concurrent reviews is another one. There is no earthly reason why you have to get through your environmental approvals before you then separately go to the Corps of Engineers for a 404 permit, and then separately go to the Coast Guard for a bridge permit. And that has actually happened recently. To their credit, those agencies have now agreed to do this work concurrently. None of this gets the public's attention. It gets wonks like us excited because you can literally shave years and millions of dollars off the cost of the project. And if you think that doesn't matter, I'll give you an old example right here in Washington. The Woodrow Wilson Bridge, $2.4 billion project. Shaving one year off the approval process netted $60 million. That's just the natural inflation growth of the—a project and the cost of materials. So process reform, while it may not be exciting on the outside, ought to be one of the easy hits in your—in your hit parade here. WOLIN: Sounds good. I'm not—I'm not worried so much about exciting, although that would be good. But moving the ball forward, that's good, too. NAGLE: I think again quickly as it relates to moving goods, that there is—I think would be ability to generate political support for a—essentially some level of a new user fee. Whether it's a waybill fee or something like that that's being considered now, to specifically focus a dedicated funding source for moving goods and helping our competiveness internationally. I think there ability to get both the users and political support for something like that. It's—stays away from the third rail of increasing an existing tax like a gas tax, et cetera, but is addressing a vital need if we're going to compete internationally. WOLIN: And the user fee would be applied to importers, exporters? NAGLE: Yes, at least one of the—one of the proposals that's been talked about is what would be a 1 percent fee on moving goods. If you're paying a transportation provider to move goods from Miami to Atlanta, and that costs $100, you would pay a dollar, 1 percent fee on that, and that would go into a Freight Trust Fund to pay for freight related transportation projects. WOLIN: Do want to take a minute that just describes BABs and TIFIA briefly so that everyone here has a good understanding of what we're talking about? WOLIN: So in short, BABs is a—is a government funded program, run through the IRS that instead of giving essentially a tax break on the bonds that are issued by municipalities or states, or other government entities, it give the government entity a subsidy that is effectively meant to counter—be the balance for what otherwise would be a tax advantage. It allows a broader range of investors to take advantage, not just people who are looking for tax exempt investments. And it allows the municipalities or the states to issue these bonds at lower yields, and therefore make them more economic and more often issued at greater amounts by the states and localities that do the issuing. So it's a—it's a different form of tax exempt bonds, one that's meant to be more inclusive and more attractive to those who seek to use this kind of financing to undertake infrastructure projects. So, that's the basic of what was part of the—of the Obama Administration's '09 effort to create Build American Bonds. CREBO-REDIKER: So—and that'll—I mean the investor base is, you know, largely one that doesn't benefit from the tax exemptions. So pension funds, large asset management, non-U.S. funds. So it's large global pools of capital that don't—that don't actually purchase or participate in the muni bond market right now. So that's—and then TIFIA, you ran TIFIA? CREBO-REDIKER: So I will take a stab, but I think you'd be better to explain it. And I'll take it from there. PORCARI: It's basically a 30 year loan at the government's borrowing rate that is now an almost essential ingredient for every major capital project. So, for a highway or transit project, for example, in particular the ones that are public private partnerships, the TIFIA loan is a critical ingredient in that. And it's proven to be a very strong vehicle. There's a—there's a railroad analogy—or analog to that, the RRIF program, that doesn't work quite as well, but lets long-term freight and passenger rail investments happen as well. Those innovations have been very helpful on the—on the lending side in making major projects go. Even an expanded TIFIA program is one that will only work for a certain subset of projects, but all those margins add up, obviously. CREBO-REDIKER: So I would—I would add to the—I would add to what the scale of what TIFIA can do, but also the breadth, in terms of sectors. And that is the alternative to if you can't get to a national infrastructure bank, which essentially would take the TIFIA model and take it outside of a specific sector, and open up to water, and energy, and other types of—and waste. That—that is what you would—you would be able to essentially do. So, for example, the Bridge Act, which is a national finance authority. Act was just reintroduced by Senator Warner. That would be fabulous, until we get to that point, we should work with what we have, which is—which is expand TIFIA. And the good news on the knowledge based center of excellence is that it's already—it's been launched within the Department of Transportation. Again, really for—primarily for transportation, but those best practices in the public private partnership sphere really belong in a—in a place that can be accessible to projects that are water, that are waste, that are in many other parts of the infrastructure spectrum. So, those would be mine. NAGLE: Yes, and I think just to expand on that a little bit, there are—I don't remember whether it's TIFIA, the congestion mitigation air quality program, RRIF, et cetera. Some of those have been relatively limited in terms of their criteria, eligibility, et cetera. I think the general idea of broadening that eligibility. And then back to one of John's very early points was and then let, essentially, determine from a, you know, either a performance metric standpoint, investment standpoint, what are the—again, what is the best utilization of those—of those resources? But to expand that eligibility, lower the—lower the floors for thick (ph) programs like TIFIA, et cetera, to enable various types of transportation related products, or even broader infrastructure projects to be able to compete for that—for those resources, or those programs. WOLIN: So, we're going to widen the circle of this conversation now. We're going to—I'm going to invite audience members to join in the discussion. If you could wait for a microphone and then speak directly into it. And please stand, state your name and your affiliation, all consistent with how we do it here at the council. And if you could please keep your questions and comments concise so that we can have as many—I see lots of hands already, so we can get through as many people's input as we possibly can. That would be fantastic. Ma'am? WOLIN: I mean, this is mostly the purview of the National Economic Council. I see Seth Wheeler here, who is a part of the staff for the NEC at the moment. So, Jeff Zients and his team spend a lot of time on it. There's a guy who now runs the Chairman of Economic Advisors—the Council rather of Economic Advisors. The chairman of it, Jason Furman, who has spent a lot of time over the years focusing on infrastructure issues, infrastructure finance issues, the economics around infrastructure and infrastructure investment. I'd say he's a real expert on this topic. And he spends, you know, a considerable amount on it still even from his post at CEA. So it's gets a fair amount of attention. You've seen the president spend a lot of time talking about, and thinking about infrastructure, but the politics of it, as we touched on briefly is quite vexatious at the moment. Sir? In the—in the third row. QUESTION: Thank you very much. If I could play devil's advocate just for a minute, we seem to have a rapidly more safe transportation system. Auto fatalities are down. There have been no air fatalities or very few, for a long time. The—what—is enough account being taken for the opportunities in better use of existing infrastructure through automation and technology and computerization? We've made huge strides in logistics in the United States. We already have automated planes, although we don't like to talk about it. Mercedes is making an automated truck. We'll have automated buses and cars in short order. We can double the capacity of the air traffic control system—I mean, of the airport system by just modernizing the air traffic control system. And there's a lot of opportunities for greater efficiency, so if we invest stupidly, or just do more of what we've been doing, won't we have a lot of stranded investment the way the Chinese and Japanese have had, rather than a smart—smarter, more lean society? PORCARI: It's a great question, Mr. Chairman. I think that, first of all, we owe it to the taxpayers to squeeze every bit of efficiency out that we can. And if you look at the—if you look at the highway analogy, for example, the advent of connected and automated vehicles. And you may be thinking about the Google cars as autonomous vehicles, connected vehicles and semi-autonomous vehicles are basically here now. And there are both trucks and passenger vehicles on sale now, or shortly, that have most of those features. They give you a lot more capacity out of the system. And I think the day is already here when, for example, if you're doing a highway corridor study and you're not thinking through that environmental impact statement and having a connected vehicle alternative, as opposed to adding a new lane, getting more out of what you have, you've probably built in a fatal legal flaw. So the state of the art's changing very rapidly. I would also note it's a step change in safety. So, as vehicle fatalities go down, if we're lucky, 2,000 or 3,000 per year. This could reduce it as much $5,000 or $10,000—5,000 or 10,000 persons. So technology, as well in aviation, will have a big role in it. And that ought to be job one is squeezing as much efficiency out as we can. But I think if you look at the big picture, population growth, the development of our metropolitan economies, where most of the economic growth is, there's no choice but to do both. Which is get more out what you have, and expand the system. And expanding the system also means renew—renewing at the same time. NAGLE: And I would just say from a kind of supply chain in and around ports perspective that absolutely needs to be a significant part of how you essentially are able to handle those increasing volumes. And in terms of just the doubling of trade or throughputs, certainly, there's absolutely anticipation that either the port facilities or the connecting infrastructure is going to come anywhere near to physically doubling over that timeframe. But being able to figure out how to get greater utilization out of existing capacity, as well as kind of better kind of collaboration and partnership amongst the various supply chain partners. The executive director at the Port of Long Beach, John Slangerup, has said publicly, you know, several times that he thinks there's 20 to 30 percent potential for improved efficiency in terms of moving goods into and out of the Southern California ports if all of the folks involved in that logistics chain can better collaborate, partner, use technology to be able to make that entire system work, work smarter. CREBO-REDIKER: I just—I mean, on the technology side, I want to make clear that this—that the efficiency path is of huge importance. And this is not about building infrastructure for infrastructure's sake. And I do think that if we did have a national strategy, that one of the—one of the key things that could be incorporated in that is how we can make existing infrastructure more efficient. And how we could use new technology to think more broadly about how to make our country competitive through its infrastructure investment. WOLIN: Sir, in the back. QUESTION: Hi there. Toby Burns (ph), energy fellow at The Street. There was a proposal for a time corporate tax on overseas earnings for infrastructure related investment. And I wonder if that—the degree to which that sort of thinking is still relevant? PORCARI: There are a couple of similar proposals out there. You may be referring to Congressman Delaney's proposal. But, it, in brief, it's an actually very innovative in repatriating overseas profits on a one time basis and using a portion of that for infrastructure investment. It would do it over a 10 year period, which is—you want a longer time horizon, ideally, for infrastructure investments. But right now, when you're talking about 60 day extensions of the highway program, 10 years sounds pretty good. And the—what we have right now, I think in generic terms, it's a little bit like driving to work and having to put a quarter in a slot in your dashboard every 50 feet to get there. That's how the surface transportation program funding is working right now. We're on our 33rd short-term extension. So whether it's repatriation, or one of the other tax reform ideas that—in that same general category, the plus side is they would provide substantial revenue for a multiyear period. And to be blunt about it, the game changing projects. The one—the ones that matter, are big, expensive and multiyear. And the opportunity costs you're seeing today is those are the very projects that don't get built because you have a 60 day extension of highway program. So that is one proposal. I am personally agnostic, to a great extent, on which way we go on that, as long as it's part of a long-term, coherent, well-articulated strategy that doesn't lurch from crisis to crisis, which is what we have right now. WOLIN: I would just add, you know, the John Delaney's proposal I think very interesting. It's being considered right now in the Senate Finance Committee. I think it'll be interesting to observe whether it founders on the much bigger complexity of overall tax reform. And so that's really the gate in question, I think largely there. Sir, in the back. Yes. QUESTION: John Neihus (ph) from the University of Michigan Law School. Heidi mentioned the concept of a national infrastructure bank. And my question is whether that idea is still alive? And what would it look like if it ever came into being? For example, would it be modeled after the multilateral development banks that sort of serve as intermediaries to take money from the private markets into development using the Callable Capital concept, which could be the national government? So, what's the—what's the status of that? CREBO-REDIKER: So there are—there have been a number of—of national infrastructure bank, or financing authority proposals on the table over the years. And I—you know, I've seen and looked at most of them. That some of them work with the budgetary system that we have in the United States, the Callable Capital from a domestic perspective that you have for EIB, and the multilateral development banks is not—it's not easy a fit as some other—as some other models from a scoring perspective. And I won't bore you. But trust me on that. And then—but—but the—but I think the idea has a lot of bipartisan support, more than most people would—would think. And one way that I found that out was when I worked on one version of a national infrastructure bank, which was the Build Act, which is now the Bridge Act, for then Senator Kerry, and Kay Bailey Hutchison. Because this was an idea that came out of a commission that President Bush tasked Kay Baily Hutchison with—with looking at, infrastructure financing models that could work. It was her recommendation to do this. So the—if you go back through this history of the different types of—of ways we've looked at an infrastructure bank, the need for one, and the desire for one has been bipartisan. It's been there for quite some time. It's what does it look like? What does it do? What does it solve for? And then the—you know, at the end of the day, you know, I think there are always misconceptions about, you know, where it would fit in the structure. Taking decision making out of the political structure is something that's important. Having a governance structure for the institution that would make sense from a bipartisan perspective, because you're taking some authority away from Congress, so it needs—it needs to work. And then having it have a financing model that's consistent with both the laws and the budgeting rules that we live under in the United States right now. And that's why I think—I think the Bridge Act that was just reintroduced is actually a pretty good way to move forward. The problem is always how are you going to fund it? How are you going to pay for it? WOLIN: And therefore, just to put my own little coda to the question, to the answer of the question, I think you know, there is bipartisan support. Lots of people have different versions of it, but it's not imminently happening. Sir. QUESTION: Hi. Rob Quartel. Hi, Kurt, it's been a long time. QUESTION: Former U.S. federal maritime commissioner, and I had a technology company that, among other things, builds intelligent transportation technology, sold in the Middle East, because it's very hard to sell it here, in U.S. ports, because they're, you know, hooked into the old stuff. It seems to me there are two issues here, and you sort of addressed one, John, which is the timeframe, the regulatory timeframe. And we all know it does take 20—10 to 20 years to get a project done. And, so it almost doesn't matter how much money you have available. If you can't get it through, you're always building Kurt's grandfather's programs. But the other issue is, we also create distortions on the economy, and on transportation as a whole. There is a law, called the Jones Act, which requires you to use U.S. built, bought, and owned operated ships in two ports in the U.S., which has about a $6 billion impact every single year. Has had an impact since 1920. Has no value whatsoever. Saves 400 jobs. If you got rid of it, you would immediately shift cargo off of rail and truck onto the water. It's politically explosive, because of those 400 sailors. And DOT, both Republican and Democrat, come up with ridiculous ideas, like the Waterborne Highway, which no customer wants, because it's not customer driven. It's driven by an attempt to get around this regulatory distortion of the multi-modal logistics economy. What are you going to do about that? WOLIN: I might be with you. PORCARI: He is. That's why I said that. But from a national security point of view, and from a national necessity point of view, I can tell you from personal experience, for example, when you have an earthquake in Haiti, when you have to actually supply the troops in Afghanistan, at the end of the day, when you're going in somewhere that merchant sailors may not want to, having U.S. flagged vessels, and having the crews in those vessels as an instrument of national policy is invaluable. It's an insurance policy. And I will admit that. But you can't buy insurance when the house is on fire. QUESTION: May I rebut that? WOLIN: No, I'm going to move on. QUESTION: Because it's (inaudible). It is complete (inaudible). PORCARI: I'll be happy to talk to you afterwards. WOLIN: You guys—you guys can have a debate, and we can—whoever wants to participate. QUESTION: It is complete (inaudible). QUESTION: Jim Kolbe with the German Marshall Fund and McClarty Associations. And perhaps more relevant to this discussion, an Arizona chairman of the Governor's Task Force on Trade and Transportation. But my questions not about transportation infrastructure. Heidi alluded to it, but all the discussion has been around the transportation infrastructure of one sort or another. There's obviously other big pieces of infrastructure, whether we're talking about our energy, she did mention that. The electric grid. Whether we're—telecommunications infrastructure. Even our health care infrastructure, the delivery system for the health care infrastructure. Is it just too much for us to chew on, to try to talk about all that? Or is—are those pieces in better shape, and so we don't really need to be thinking about that? Or is it—what is the reason why we're really not talking about some of the other pieces of infrastructure. WOLIN: It's an important question. I think partly we have at least two of the panelists who are transportation infrastructure experts. But anyone want to take a stab at that? And if not, I'll take a stab at it. CREBO-REDIKER: Go ahead. You first. PORCARI: It's a great question. And this shouldn't be transportation exclusive. And to your specific question, the other pieces of infrastructure are not necessarily in better shape. And the similar dynamics apply. They are—if you do it right, it's an investment. I'd go back to something I mentioned earlier: if you thought about this at a federal level from a capital budgeting perspective, you'd think across all of those. Not just transportation. Energy, including pipelines, and every other infrastructure investment that is—has a long-term payoff for the country. WOLIN: So, I agree with what—with what John just said. I would say that although in those other sectors infrastructure is not in the place that we need it to be and want it to be. It's slightly better in the sense that, in general, whether you're talking about telecoms or energy infrastructure, the private sector has had a much more substantial role relative to the total spend and the total strategy and has had, you know, less dysfunction, I would say than the government has in respect of transport. It doesn't mean there isn't a lot of room to make improvements in those other places, and a lot of things that need, especially where the market, because it is the private sector, has sub optimized and has—hasn't delivered with the sort of geographic scope or some of the new technologies with the ubiquity that, you know, we would probably want as a country, in terms of investing in the near and longer-term economic growth of the country. But I would make a distinction on that basis. CREBO-REDIKER: So, I would just—I would just add, when you look at the countries that we highlighted earlier that are getting it right, they tend to consolidate in whether it's the U.K., in its strategy, has disaster mitigation, as well as energy and telecommunications, waste, water as well as roads, air, ports. It's a consolidated strategic way of looking at it. As well, P3 Canada is an advisory and a—an advisor primarily a knowledge sharing authority that works across all infrastructure sectors. And so, to the extent that we can get away from being unbelievably siloed in the way that we address at the federal level infrastructure, I think that the further we can advance the ball. WOLIN: By the way, I want to socialize my plea for help. I got to write this memo later on, so any of you have actionable, achievable bits that I can put toward the president in the way of recommendations, I'm all ears. Sir? QUESTION: Thank you very much. Glenn Gerstell from Milbank. Appreciate the discussion. You're very informative. Neal, I don't have a—an actionable point, but I have a question that may lead to one, which is—commenting on Heidi's comment about other countries that do it right, for example, the U.K., Singapore, et cetera. All those countries are smaller, a little more homogenous. So when you look at this—take your transportation, it's hard to think of something that's as critical to our national security, and economy as the transportation sector, and yet, there's—it's hard to think of one that's also equally fractured. In public versus private, state, local, federal, et cetera, and just the number, the exceptional number of modes of transportation, rail, subway, freight, air, whatever. So given this dispersed and fractured nature, is there anything we can—is there anything we should be doing at the federal level to address this? Is it just—is this just a historical accident of the way the sector's grown up and the way our governments have grown up with state and local systems? Or is there something nationally that needs to be done at a—at a very different level? PORCARI: I would argue that there's a lot you can do at the—at the federal level. I have previously mentioned building a national freight policy by aggregating essentially the state freight plans. While that's imperfect, you at least take a systems approach, and think about goods movement nationally across all the modes. There's a lot more along those lines that can be done, essentially through the bully pulpit, and through working at the state and local level. I don't personally see, in the short-term, us getting to national plans. And I'm not even sure that's a desirable state. But having a merit based discussion based on the return on investment, for example, of individual projects and how they function in a larger system is relatively easy to do. And it's also one way, on a bipartisan basis, to really build support for the concept of infrastructure, and infrastructure needs without getting into the local choices that are made, which are legitimate choices. QUESTION: Alan Wendt (ph). What about something very simple, like indexing certain taxes. Let's say, the gas tax. Would that be so controversial? PORCARI: Well, again, since I'm not an elected official, it's easy for me to say no. But it—that idea has certainly been floated out there. And, again, you know, if you think about what governors have done, there are 19 states that have raised revenues, including indexing it. And they've all survived. Or if they're gone, it's for other reasons. But that is a pretty common sense way to do it. WOLIN: I mean, I would just note the empirical data are that for 22 years the nominal level of the federal gas tax has stayed dead flat. QUESTION: Hi, Claire Casey from Garten Rothkopf. One thing we haven't talked about today is climate resiliency of our infrastructure. There seems to be some exciting stuff happening in certain states, like those hit by Sandy in thinking about that. But at the federal level, there doesn't seem to be a ton going on. Is that just too far? We can't even agree climate change is happening so, we can't move on it? Or is it something that can be integrated into our strategic thinking? PORCARI: It—it's a great question. I'll—my colleagues might want to add something. But there is actually a fair amount going on at the federal level on it. And yes, some of it did start with Sandy. But starting with the emergency assistance that the Federal Highway Administration does, and now the Federal Transit Administration, resiliency is built into that now. So it used to be, for example, that after a natural disaster, you could only rebuild to the same standard. Well, that's ridiculous, in a world of climate change. For both of those examples, highways and transit, you can now use those funds to rebuild to a better standard. Higher elevation, whatever it happens to be. Those are some of the first steps. There's a lot work actually going on regarding resiliency. And I would point out it's not just because of climate change. More resilient facilities tend to be more resilient for other things as well. NAGLE: And that's certainly at port related infrastructure facilities, et cetera, both in terms of that resiliency to events, or otherwise. But also in terms of engineering and planning for those facilities that have to last 50 or more years in terms of, you know, sea level rise, et cetera. That they are designing that at least capability or flexibility, adaptability into—and obviously a lot of ongoing collaboration within our industry on that in terms of their facilities, and whether it's on an ongoing basis or in case of, like I say, a storm or something like that. QUESTION: Irving Williamson, the International Trade Commission. I was just wondering if there's—are any new innovations in the area of regional cooperation. I used to work at the Port Authority of New York New Jersey. And once upon a time that played a very important role as Robert Moses with his faults, there were things that he was able to get done. So I was wondering, is anything happening now in that area? PORCARI: Yes, I—there actually are outstanding examples of regional cooperation. And even today's port authority is a good example of that. So, the—if—I had mentioned earlier that metropolitan areas really function as a regional economy, and that's the basic economic units of the country. The smart jurisdictions have figured that out. And the planning spans state lines. It spans the different modes that are out there. And you have some smart examples of that kind of cooperation. It's also on the international level. So, one great example to me is the new international trade crossing between Windsor, Canada, and Detroit, which is a state cooperating with the federal government in Canada to basically build new capacity in one of the most important trade corridors in the world. It was an excruciating project politically, but a lot of credit to Governor Snyder and to Prime Minister Harper for sticking with it because that unlocks economic growth in a four or five state region, the whole Interstate 75 region. Not just that. And that's, I think, a great example of working internationally to actually make those kinds of things happen. NAGLE: And just from a port authority related perspective, there's a couple of things. Most recently, both Seattle and Tacoma, as well as Los Angeles and Long Beach both have applied and I think received Federal Maritime Commission approval for discussion agreements that talk about—on the L.A. Long Beach side it's primarily related to supply chain, and improving the efficiencies, et cetera, in the Southern California kind of port area. Seattle-Tacoma is more in terms of, again, from a regional standpoint, to make sure that it makes sense from a regional, as opposed to Seattle versus Tacoma type issues. So there is more kind of cooperation, or at least partnership collaboration in addition to the bi-state port authority up in New York, New Jersey. CREBO-REDIKER: I would say that's actually one part of this infrastructure conversation to be optimistic about, because you do see states actually figuring it out for themselves. Whether it's the Western Infrastructure exchange or other conglomerations that are—that are not just domestically U.S., but are looking cross border as well, because, you know, a lot of the—of the needs, the flows, information, goods, technology, people and information energy go across borders. They don't stop at the border with Canada or the border with Mexico. WOLIN: So we have time for one more question. I just want to remind everyone before we take that question that this meeting has been on the record. And is there one more? Sir? QUESTION: Mike Moesttig, PBS Online Newshour. Just a very practical last question. Would any of you give odds—5 percent, 10 percent, 30 percent—on whether we're going to get a decent passenger rail transport between Washington and Boston? QUESTION: I'll give you that to you. WOLIN: In the lifetime of anyone in this room. PORCARI: I—I'm not being facetious, I—the reason I ask that is I would say the odds are very high, above 90 percent that happen. The question is when. And when you're starting with infrastructure that dates back, as I mentioned, with the tunnels, 105 years, most of it's older than 70 years old, and you can only upgrade it incrementally because it's being used so heavily right now. Even if you had the money, it's going to take a while to do it. But if you look at passenger rail travel, Boston to Washington, and in particular, New York to Washington, air travel used to be the dominant mode between those. It's two thirds rail now. With the—with the archaic infrastructure that we have. WOLIN: So, if I could say, Kurt and Heidi and John, you all are very experienced practitioners in these areas, and hugely thoughtful commentators. Really fun to have this conversation, this little meeting. And it's a complicated topic with lots of moving parts. But it's a—it's been a fun conversation, and I'll get to cracking on my—on my memo now.